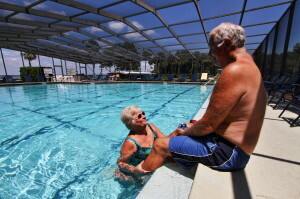 As retirement communities go, it’s hard to do much better than Lake Griffin Harbor, a 55+ community in Leesburg, Florida, that offers a virtually unbeatable combination of affordably priced housing, a stunning lakeside location, and an abundance of resort-style amenities right on site. In fact, Lake Griffin Harbor isn’t just a place to live … it’s a lifestyle. Ask any one of our residents what they enjoy most about being part of our community and high on their list will be an appreciation for how LGH allows them to stay active and have fun – all without having to pay a fortune. Contact Lake Griffin Harbor if you’d like to learn more about how we compare to other age-restricted retirement communities in Central FL. We will be pleased to provide you a current listing of our manufactured homes for sale.